I decided recently to upgrade my forgotten MacMini model from 2006. As opposed to the current model, this machine was fully upgradeable, including not not only the memory and hard disk, but also the CPU. The original processor was a Core Duo (32 bits), and the upgrade to a Core 2 Duo with 64 bits and far better performance was only 16 euros in eBay. Increasing the memory to 2 Gb required another 15 euros on Amazon, and I had a spare SSD with 128 Gb, so the full upgrade was cheap, although definitely took me longer than expected. The upgrade included fiddling with the EFI -otherwise my USB 2.0 keyboard would not be recognised-, and then installing a new OS using the CD-ROM, instead of the usual USB approach. After some considerations about using FreeBSD, I decided to install Ubuntu 14.10 server (64 bits) - OsX was never an option, and, in any case, the latest version of OsX that could be installed in this machine would have been OsX Lion. Even then, there was a minor problem: the EFI is 32 bits, and its just refuses to boot from a UEFI(X64)+BIOS bootable CD/DVD, which is precisely the format of the Ubuntu server installation disc. There is a solution: to remove UEFI support from the CD first. The whole process is documented here. 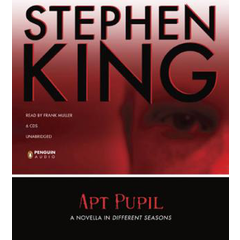 While reading two paperbacks -which I am still distant to complete-, I had again more time to listen to audiobooks, and the last four where a mixed bag. 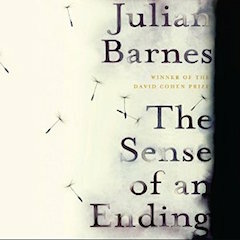 Julian Barnes made definitely for any time lost with the deceptive Maze Runner trilogy, and The Safe Man by Michael Connelly was a nice and unexpected surprise from this author. I updated my Mountain Lion installation to Mavericks just one month ago; I knew that Yosemite was on the pipeline, but I still thought that the very first release of Yosemite would have quite a few bugs, as to rush to install it. Looking to the screenshots from Yosemite, I decided to try it on a separate hard disk; if I had problems or the looks didn't suit me that much, I could revert to Mavericks, or, as I have planning all along, to switch to Ubuntu 14.10. The firmware update provided by Samsung to restore the performance on the Samsung EVO 840 is, as usual for firmware / BIOS updates, a DOS program. There is also a Windows program, but it handles only NTFS partitions, so even in the case of having some Windows installation available, it seems to be unable to handle other partitions, like ext4 or HFS+. In these cases, it is definitely needed to go the DOS route. The update from Samsung does not include, as expected, a DOS installation, but the process is very simple: download and install a FreeDOS (for example) image to a USB stick, add the firmware update and reboot the machine, booting from the USB stick. After some time (over 10 minutes, in my case), try reinserting the disk, which should appear as FreeDOS. Open it; now we can copy here the directory 840Per included in the provided Samsung 840 distribution. Time to reboot, and start the firmware update application! In Debian, to ensure that the appropiate locale are installed, it is needed to run dpkg-reconfigure locales, and there select en_US.UTF-8 -also as default-. While working with KVM virtual networks, it arises often enough the need to edit the network definition, like editing new MAC / IP mappings. This causes all the associated guests to lose network connectivity, and it is required to detach / re-attach their network interfaces. There is a shell script to perform this operation on the default network, with a few constraints. I created my first Hackintosh in 2009, and the process required some thinking. There were already quite a few guides, and, of course, some people had done already the dirty work of working out the drivers and the mechanisms to make Os X install on alien, non Apple, hardware, but the process was definitely not simple. I did then in quick succession 3 hackintoshes, using the same approach. Fast forward to 2012, I built a new computer and hackintoshed it again, this time with Mountain Lion. In the passed 3 years, the hackintoshing landscape had changed very much, and the process to install OsX was as easy as using the tools Unibeast and Mutibeast provided by tonymacx86. The more serious thinking at this stage was the pre-purchase steps, to ensure that the hardware was as Apple-compatible as possible. Today I decided to upgrade my existing Mountain Lion installation to Mavericks, or, better said, to scrap the Mountain Lion system to have a clean Mavericks one. Again, the process was very simple, and all my hardware is perfectly running under OsX, missing only the VT-D functionality. I use Windows less and less, and last times I only need it at two locations: at my office, to check the mail (Lotus Notes, help!!!! ), and to manage the server of a shop that uses a Windows-only invoicing / accounting program (Ofipro-, rather good, with the lack of Linux support being its only drawback). Put a simple password and you are good to go. Then you can use the control panel to change it properly (in case history was saved...). Not very sure on how safe is this approach, but surely it saved me in time! Boom! One problem: in windows, help is obtained by doing shutdown /?, and, as far as I can see, doing shutdown -h is not documented and should do nothing. Even if that means shutdown halt, or -h would be considered a comment (which is not, that requires /c), a reboot / shutdown requires entering -f to force it. 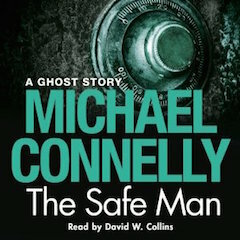 While still reading paperbacks, time constraints favour my listening to audiobooks. 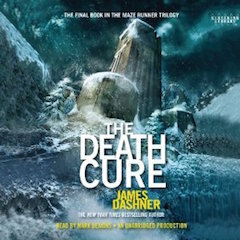 And, as far as the narrator does a good job -and in the vast majority of audiobooks so far, the narrator is really great-, I would say that an audiobook can be a much better experience than reading. 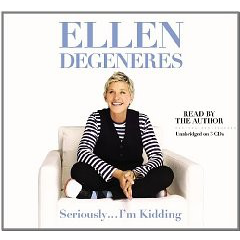 Of course, the version needs to be unabridged, but, again, that is the usual case. 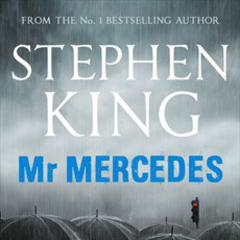 From the last 4 audiobooks I read these last two months, I would highly recommend Mr Mercedes, from Stephen King. 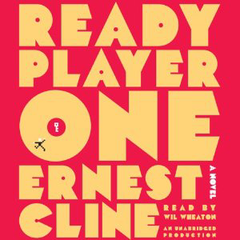 I just finished Ready Player One, wanting to reach the end of the story and dreading at the same time finishing it. 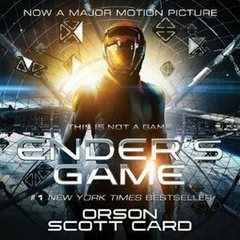 The plot of story, the games played inside games inside games, the old computers of the 70's and early '80s, the fascination for the music and movies makes this book an instant recommendation. 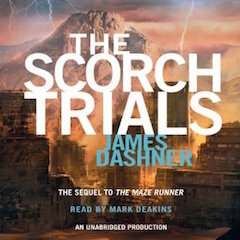 In fact, I listened to the audiobook, and with the great job of the narrator I would even recommended better the audio version. After my brief fighting with Windows 8 on a friend's laptop, I though I would stayed clear from Windows for a little while. No luck; my friend updated the system to Windows 8.1, and on the process something failed. He would then be welcome with an error message, and the system would enter recovery mode. Fortunately, I had created the USB recovery drive, so it was just a matter of recovering the system... Nope. The USB stick would not be recognised. I had created the recovery partitions, as expected, provided the system with a proper USB to create the recovery drive, and no errors had been raised. But, when needed, there was no way to recover the system with that drive. I changed the UEFI options to recognise the USB stick as a valid boot option, it started the recovery process, and then informed me that something was missing on the system. What? Well, probably, some of the recovery partitions: these were available, but, in truth, I do not know what my friend had done on his 8.1 upgrade. So, doing some general user action (system upgrade), the recovery partition is (probably) lost, and the recovery drive cannot recover the system, and cannot either reinitialise the system to its pristine status. Fine, then, what can be done? Of course, you can always reinstall Windows, right? Of course not. You can create a recovery drive, which seems unable to reinitialise the system. If there is no recovery partitions available, no matter how big is your USB stick, Windows just doesn't install all the information needed to restart the system. I cannot stop comparing this complexity with the utter simplicity of managing the installation of a OsX or Linux system and stare in total awe. But wondering on these complications would not help my friend recover his system. On the short time he used Windows 8 he was all but happy, and having to wait now to get (and pay!) for the installation media from Asus didn't really excite him. I proposed him trying Ubuntu and he accepted. Installation took me minutes, and the system booted in perfect state. He has been using Ubuntu since then, and, for the time being, he seems content with the system. It is a very recent Asus -N7500JV-, with SSD, and the whole hardware is properly recognised. I know that there will be issues, like trying to run a Windows program that he forgot to mention, and that cannot run well in a virtual machine or using Wine, but for the time, the great recovery mechanisms of Windows have won a new Ubuntu fan. Go figure. I was updating a website done in Rails 3 to Rails 4, following the usual guides to have a smooth migration, which helped definitely smoothing the update. A nasty problem I found was related to the way that model associations are now handled; in Rails 3, they return an Array, while in Rails 4 its is returned a CollectionProxy; nothing to object if the new class exposes the same interface (methods), but that is not the case. So all the calls to the suddenly deprecated methods are naturally broken. Of course, there are always good reasons to such deprecation... isn't? This discussion sheds some light on the reasoning behind: Because it causes confusion where you think you are changing the relation/association and you actually do not. The database is still the same. So calling delete_if does not change the database, and the name is therefore confussing, so let's get ride of the method? Somebody replies here that the reasoning is ridiculous, people should know enough to save the underlying model after calling delete_if, but the answer only addresses the mention to ridiculous.... typical. But only in some cases, as it depends in fact on the operation and association in place. Well, thanks for that, very helpful, guys! I had recently to help a friend moving a Windows 8 installation from HDD to SSD. He had bough the laptop, requested the SSD, and the morons just placed the SSD inside the laptop, but performed no installation whatsoever: the SSD was not even formatted and my friend would not see it from inside Windows. I saw that there was the typical recovery partition, that little trick performed on the users to not provide additional media in case the initial Windows installation crashes. I committed the mistake to think that I would be able to reinstall Windows by creating a recovery USB disk, but after many tests I was only able to reach a point where I could do a clean installation, but where? Never mentioned. Perhaps to the SSD (unlikely), most likely to the HDD, again. Funny thing: if I physically disconnected the HDD, I was unable to reach any recovery point, saying that there was no recovery partition (which I had very specifically backed up to the USB stick, exactly as explained on the process to create the recovery media). I wonder what happens if the HDD really crashes. Which would be the cost by Asus (in this case, but Dell, Samsung or Acer do exactly the same) to include a USB stick that could just reinstall the OS? Easy way, if you insert the USB stick and boot to it (not an easy task nowadays, anyway) and say yes to 3 or 100 confirmation messages. Windows is then installed from scratch with all the drivers required for that laptop -pristine installation, just what you get when you buy it new. But no, with the recovery partition trick, they use the hard disk purchased by the user, and worse, his/her time to perform that creation of recovery media. Even worse, why Microsoft makes the process so complicated? I cannot obviously compare a Windows installation to a Linux one, but I can definitely do the comparison with Os X; when I bought a new Macbook Pro, transferring the OS from HDD to SSD was a simple process, directly accomplished with the tools already provided in Os X. At least I had the opportunity to see finally Windows 8 in action. The laptop was a very nice, sturdy, Asus N750JV, I was dutily impressed with both; Windows has come a really long way, and the interface has improved a lot. Moving between the tiles and the standard Windows interface was not so nice, but workable. Going through the process of updating the OS, not nice at all, and overall, I had the impression of incompleteness. I guess I will wait myself for Windows 9, or better, for Windows 10, which will probably be called Windows X, just to catch up. Quick answer: make sure your SSD can hold the content from your HDD, removing any unneeded information (or just moving it to an external drive), then use the wonderful EasyUS tool. The explanation below comes on my personal experience moving a new Windows 8 installation on an Asus N7500JV to SSD (being the advantage here that the HDD was practically empty). Ensure that the system boots from the SSD. This can be accomplished in two ways; booting to UEFI and select the SSD as first boot drive, or, more safely, by removing the HDD from the system (just unplug the connector). The system boots perfectly. Migration is complete, but the HDD still has a full Windows 8 installation, and both disks, the SSD and HDD have recovery partitions. Time to cleanup. Shutdown the system. If the HDD had been disconnected, reconnect it now, and boot again. 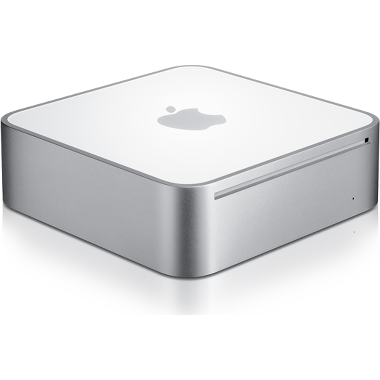 [Permanent link] I use a SSD on my Hackintosh, with just 128 Gb plus a HDD for Music, etc. From the 128 Gb, I use in fact only 98 Gb in OsX, and the rest goes to a Linux partition. 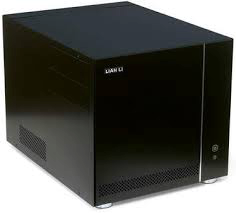 It is a desktop, 32 Gb of memory, usually running for months before requiring a reboot, and most of the time sleeping.Waking up is very fast, works much better than my old Vista installation (unfair comparison), or even recent Linux installations. Last days I started having problems putting the computer to sleep: it would start the process, switching off the monitor signal, audio, and then the computer itself, just to restart immediately. Then, a message started appearing complaining that my startup disk was almost full. Checking the space didn't show anything extraordinary: the normal scenario where more and more programs get installed, more work done, and the 128 Gb are suddenly too little. Only one file called my attention: /private/var/vm/sleepimage, at 16 Gb, but removing it seemed out of place: this file is automatically created by OsX to keep the memory saved on disk, for out of power scenarios. In fact, this was probably the case why my box didn't manage to get to sleep; having 32 Gb RAM would have required storing 32 Gb on disk, and that space was just not available (in fact, this is not necessarily the case, as the dynamic pager can page out inactive pages prior to hibernation). 0: no hibernation, plain sleep. RAM keeps powered, in case of power loss, full reboot is required. Default for desktops. 3: safe sleep, default for portables. RAM keeps powered, but is also stored on disk. Even on power loss, the prior state can be recovered. 25: hibernation. RAM gets saved on disk, and removes power to memory. Sleep and wake up slower.